Here in this article, we will provide you all information about the Tamil Nadu Police SI Physical. You will be informed about the whole selection process. You will get basic details of the physical test. The date for the physical test is still not announced. The candidates who will qualify the preliminary written exam will be eligible for the physical endurance test. So first, you need to qualify the written exam if you want to give the Tamil Nadu Police Physical Test. Then candidates will appear for the physical efficiency test. If you qualified both physical measurement test and physical efficiency test, then you reach to exam stage. But this is not so easy. You have to practice hard to qualify the same. We will update Tamil Nadu Police SI Physical Details on this website. Candidates those qualify physical stage, will only reach to exam stage. We have given all the standards of this recruitment. You will be able to prepare better if you check them carefully. You will be able to see Tamil Nadu SI Physical. Candidates have to prepare really hard to qualify this stage. You must be having some doubts in your mind. You can send us your questions in the comment section. Our team will reply back as soon as possible. You must read complete information in Tamil Nadu SI Physical Details table. Latest Update (15 April 2019): The online registration process is currently going for this recruitment. Soon after, the exam date will be announced. All latest details will be shared here on this page on a regular basis. PMT and ET are of qualifying nature. Ex-Servicemen, EX-CPMF and Serving persons who are going to retire within one year are exempted from PMT. Departmental candidates are exempted from PMT and PET. In this passage, the candidates will get all details regarding the Tamil Nadu Police SI PMT. The norms for open candidates for Endurance Test is as follows. Endurance Test is qualifying nature. Only the candidates who qualify in the Endurance Test will be allowed to participate in the Physical Efficiency Test. Men candidates will compulsorily have to attend rope climbing. They should climb only with their hands. Climbing with the support of legs or body will lead to disqualification. Only one chance will be given to the candidates in rope climbing. Tow chances will be given only for the event of long jump/high jump. The highest score of these chances will be considered for qualification. Only one chance will be given to the candidates for the events of 100/400 meters run. Candidates those filled online form must check few points before applying online. They must check Tamil Nadu Police SI Physical Standard. If you don’t full fill any of them, you will be rejected straight at later stage. Hence to avoid last minute disappointment, you have to crosscheck them by own. We will provide Tamilnadu SI Physical Standard 2019, so that you can get whole information here only. If you guys are looking for the Tamil Nadu Police Physical, then you guys are at the exact place. Here in this article, you all will get information about the selection process as well as Tamil Nadu Police PST. In the above passage, you will get minimum qualification for the physical test. You will have to clear all these steps if you want to get this page. 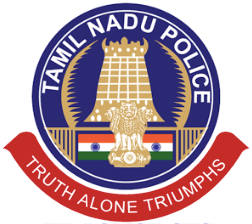 If you have any question about the Tamil Nadu Police Physical 2019, drop it in the comments section. We will try to help you in all possible ways. Other state can apply TM police si post….? DEFINITLY A PROBLEM WHILE YOU ATTENDING MEDICAL TEST . IF YOU ARE ABLE TO BRIBE TO YOUR DOCTOR THEN HE WILL PASS YOU .